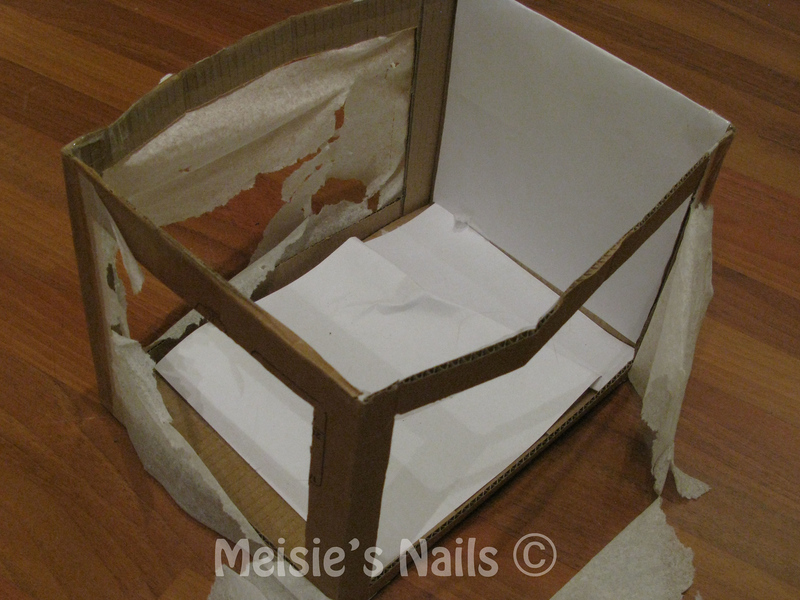 Meisie's Nails: Good-bye, Light Box! Somebody completely destroyed my light box!!! And somebody was not alone!!! LOL him sitting in the box at the end is the funniest part. Hahahahahaahah ow so for that they team up!!!!! 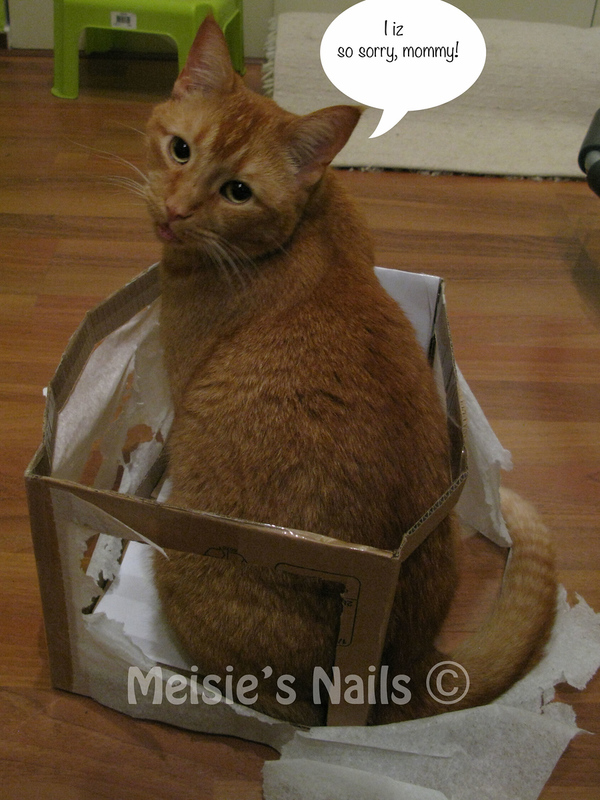 AnGeLiQuE, yes I believe an apology is definitely in order.My female likes to sit inside mine too,so I put a whole lot of things in there when I am not using it,to deter her.She sometimes does catch me off guard though. Hahahahaha you gotta love kitties <3. That's why I don't have a Light box! cats and boxes....i need to say more? loll, awww and when your all ready to tell them off they give you the cutest innocent look you can't stay mad lolll !